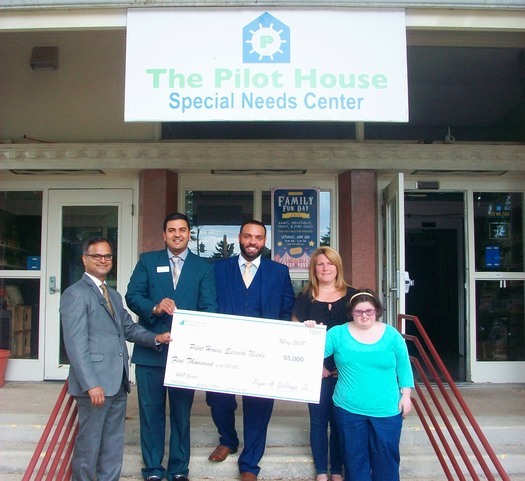 STAMFORD, CT - First County Bank Foundation is pleased to announce it recently awarded Fairfield-based nonprofit groups a total of $20,500 in grants to support these organizations with their mission to provide needed services in our local communities. First County Bank Foundation has awarded individual grants worth over $8.5 million since its inception in 2001. The following Fairfield-based nonprofit organizations received First County Bank Foundation grants in 2018: The Fairfield Museum and History Center for professional development courses for teachers; Friends of the Fairfield Public Library for The Work Place JOBS series; Operation Hope of Fairfield, Inc. to support those transitioning from homelessness to affordable housing; Pilot House Special Needs for day training programs for those with special needs; Fairfield Theatre Company to provide low or no cost music and theater classes and for their vocational and financial literacy training programs. To be eligible for First County Bank Foundation grants, organizations must have nonprofit tax exempt status under section 501(c)(3) of the Internal Revenue Code; be located in Stamford, Darien, Greenwich, New Canaan, Norwalk, Westport or Fairfield; have community support; address community needs; have measurable outcomes; and demonstrate fiscal and administrative responsibility. Special consideration is given to those agencies or programs benefiting low to moderate income populations.